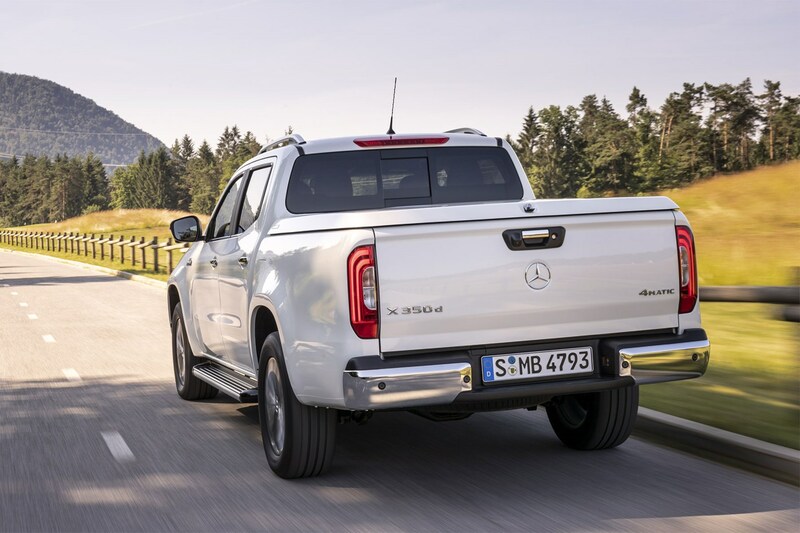 Mercedes has confirmed the UK pricing of its X-Class V6 pickup truck at £38,350 excluding VAT. It is available to order now, ahead of first deliveries in November 2018. 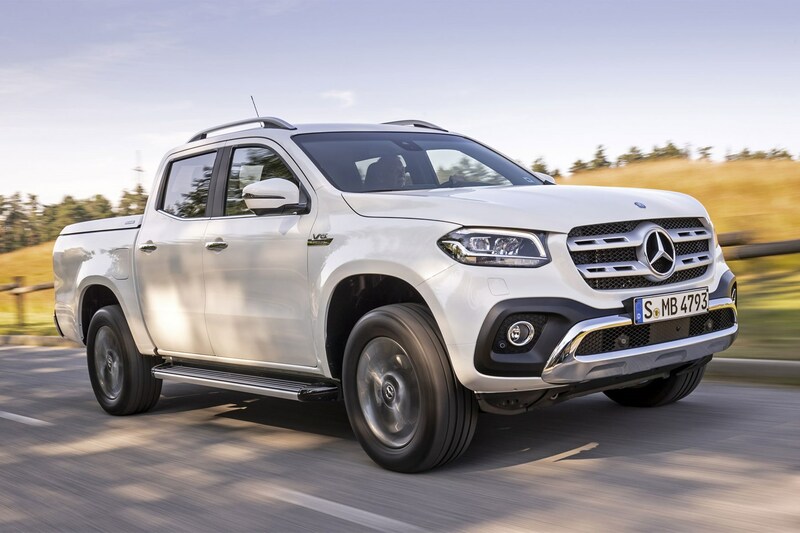 Driven by a 258hp 3.0-litre engine and badged X 350 d, the Mercedes X-Class V6 comes in range-topping Power specification only, and has an extensive list of standard equipment, including a comprehensive selection of safety kit. We’ve reviewed it already, and came away impressed – but is it good value? Find out how it compares in cost to a top-spec VW Amarok with the same amount of power below. Is the Mercedes X-Class V6 too expensive? 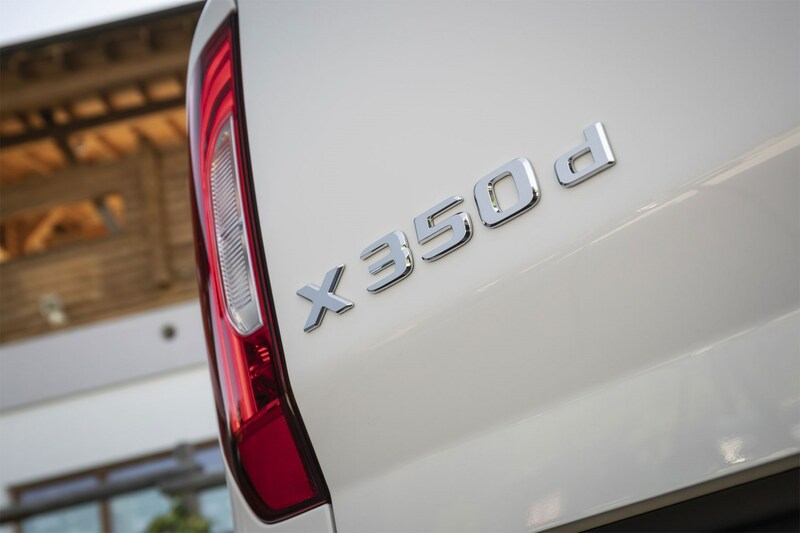 Priced at £38,350 before VAT, the X 350 d instantly becomes the most expensive conventional pickup on sale in the UK. What do we mean by ‘conventional’? Well, both Toyota and Isuzu offer AT35 Arctic Trucks extreme off-road conversions of their respective Hilux and D-Max models that cost more. But rest assured, the Mercedes has a nicer driving experience and a much more powerful engine than either of those. The pickup that should give potential X-Class buyers reason to pause for thought, however, is the VW Amarok. Now available to order with its own 258hp engine – which tops an entire range of 3.0-litre V6 models, compared with Mercedes’ single one (the rest of the X-Class range is powered by 2.3-litre Nissan four-cylinder engines) – the Amarok not only offers a more comfortable driving experience than the X-Class, it’s also over £4,000 cheaper. The 258hp VW Amarok Highline is priced at £34,325 basic, excluding VAT. What’s more, the VW engine has an overboost function that can take power up to 272hp for short periods, and 580Nm of torque versus the Mercedes’ 550Nm max. Both rival X-Class V6 and Amarok V6 feature permanent four-wheel drive and an automatic gearbox as standard, but only the Mercedes gets Dynamic Select, a special controller that offers a choice of different driving modes – though we should point out the VW achieves similar results with a couple of buttons. The X-Class also uses car-like multi-link rear suspension to achieve sharper handling on twisty roads. The VW hits back with supreme comfort, despite using older, less sophisticated rear suspension technology. Note that despite the enormous cost of the X-Class V6, you do still have to pay extra for satellite-navigation (£405 for a basic Garmin version, £1,470 for proper Mercedes COMAND). How does the X-Class V6 compare to the rest of the X-Class range? The arrival of the V6 means a shake-up for the rest of the X-Class range, which sees the top-line Power specification exclusively reserved for the new X 350 d model from this point onwards. This means that X 220 d and X 250 d four-cylinder X-Class are now only available in the lesser Pure and Progressive trim levels. As a result, the X 350 d V6 costs nearly £8,000 more than the most expensive four-cylinder model in the standard X-Class pricelist, the X 250 d Progressive. Remarkably, however, the X 350 d Power is still not as expensive as the limited edition X 250 d Edition 1, which costs £41,156 and is currently still available to order. We'd recommend V6 power over the Edition 1's enormous list of standard equipment any day. So is the X-Class V6 worth the money? That’s really your call. It has the most premium image of any pickup, a fancy (if impractical) interior, a powerful engine, lots of toys, and is likely to hold its value well – which should mean competitive monthly finance payments.